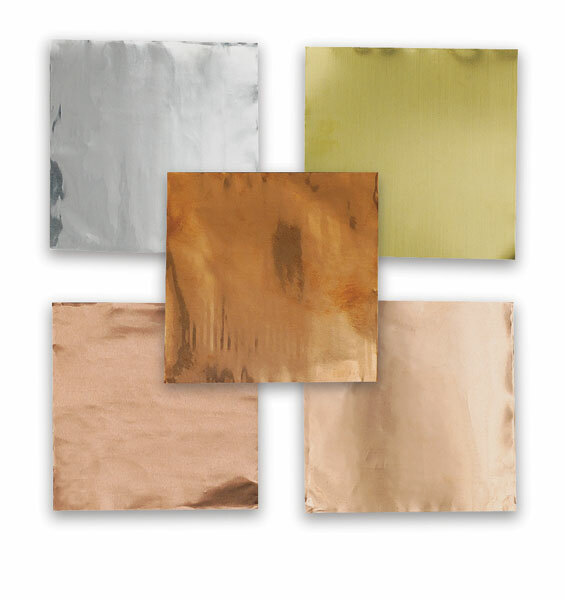 These 5" × 5" sheets of solid Aluminum, Copper, and Brass are great for punching, embossing, rubbing, and decorating. 38 gauge Decorator Copper is Aluminum with Copper coating on one side. They are the perfect size for use with 4" × 4" Metal Smith Molds.